Cersei Lannister won't be receiving any Mother's Day cards for more reasons than one this year. Not only are all three of her children dead, but her youngest son, the former King Tommen, believes his mother should join her offspring in the afterlife. 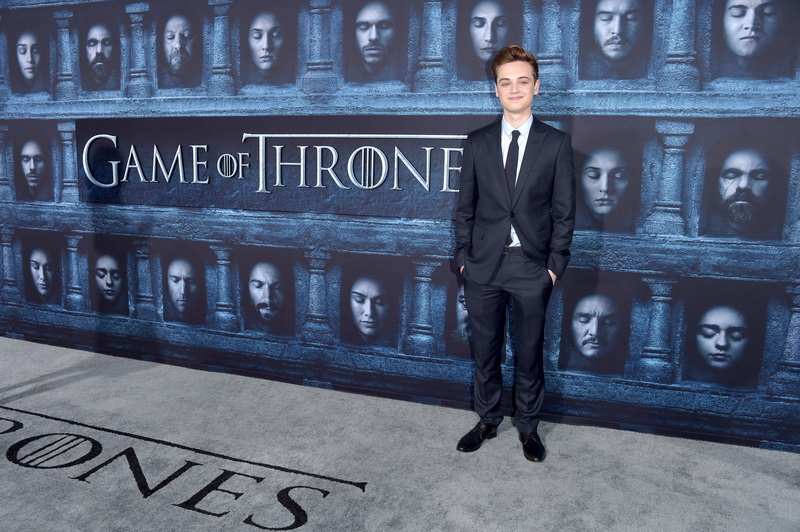 During a recent interview with Pop Sugar, Dean-Charles Chapman, the actor who played Tommen, explained why Cersei has to die, and sorry Cersei fans, but he is kind of right. "She's lost all her children, she hasn't really got anyone there," Chapman told Pop Sugar. "She's got Jaime, but he's nutso as well. They're all crazy. And I think now that she's killed pretty much everyone in the whole show, there's nothing stopping her, is there? She's got to either kill more people, or she's going to be killed." Granted, Chapman is ever so slightly biased, since Cersei's reign of terror led to Tommen jumping out of a window in the Season 6 finale, but the actor makes a good point. There is no happy ending waiting for Cersei. The moment she took the Iron Throne and crowned herself Queen of Westeros, it was all over. Her actions in the finale — blowing up the sept, using the zombie Mountain to torture her enemies — marked the beginning of the reign of a Mad Queen every bit as paranoid and dangerous as the Mad King, and everyone knows how his story ended. While Chapman's assessment of Jaime is more questionable, it is true that Cersei's only chance of retaining her power is through killing all of her enemies and that is one long list. Cersei's goal is not to rule for the people, but rather for the power. A reign built on self-interest is sure to be a short one, especially when Daenerys and her army is sailing toward King's Landing. Of course, part of Chapman cannot help but hope Cersei meets a bitter end. "I hope she dies. She killed me! She basically killed Tommen!" Chapman explained in his interview. Being on a show like Game of Thrones is a once in a lifetime experience. It is not at all surprising Chapmen wishes Cersei ill — if not for her blowing up his TV wife, Tommen would likely be back for Season 7. No one lives forever on Game of Thrones though. Actors come and go at an alarming speed thanks to the bloody world of Westeros. At least Chapman is staying true to the Lannister family way. Remember, a Lannister always pays his debts, and Chapman is keeping the tradition alive as he waits for his TV mother to get her comeuppance.